This week I had the pleasure of watching Glass – the third and final installment of “The Eastrail 177 Trilogy” by M Night Shyamalan. A Superhero / Thriller / Psychological Horror series. You would have seen my previous post “An Unbreakable Review” which covers the first two films and also my concerns on what this film will bring. As usual this will be spoiler free as I don’t want to ruin too much for you. The film picks up a couple of weeks after Split. With Kevin on the run and up to his old tricks – hunting for new sacrifices to feed “The Beast”. The Zoo incident brought Kevin’s actions to the attention of David Dunn, who is now running a security store and spending his evenings with his son Joseph tracking down criminals. With Dunn hunting the Beast, their meeting finally results in both of them getting detained in a Mental Institution – the same one that Elijah Price is residing in. This is where we are introduced to psychologist Ellie Staple – who is tasked with disproving the three men’s ideas of disillusion of grandeur regarding there so-called powers. This is the storyline bit over. I’ve hooked you haven’t I. What happens next you wonder. After letting it settle in, process and work out exactly how I feel about this feature I have come to the conclusion that I did really enjoy it, it was very smart and toned in the “over the top” supernatural element from Split and pushed a bit more of the Psychological Thriller aspect from Unbreakable which in my eyes was the best way to go. Half way through the movie, I was thinking – how could this end? Where or what are they planning? Then it all fell into place and I was happy with the way they went. Maybe not the results, but route was the best one to take. I would say there are two twists in this film – from the master of twist endings, this one throws a mini twist and a big twist into the pot which stuns the audience. I am fully on board with the mini twist – thinking it’s the perfect addition to the series and adds an extra layer and connection to the films. The big twist I am not too sold on, I think it adds too much to the series and changes the tone slightly. But that will be for you to decided. Visually they use some of that new fangled technology that cinema is using now days to make old actors look youthful and young again. Showing a set of flashbacks from the characters past which are done amazingly. That along with the use of old footage from Unbreakable really pushes limits and shows what technology is capable of now days. In my previous post I also raised concern for M Night Shyamalan and his love for a cheeky cameo, what with he being the Drug Dealer in Unbreakable and the House Security guy in Split, who would he be in this, or would he continuing as one of the characters. Turns out he covers all bases and both are one in the same character – with a cringe piece of dialogue where he manages to explain to Dunn and Joseph how he needs new security cameras for the building he works at as someone has died (the therapist from Split) and then awkwardly thinks Dunn looks familiar and probes to see if he worked at the stadium (his job in Unbreakable) where he hung out up to no good. It wasn’t needed, it was good to connect the dots but it should have been done smoother and in a more subtle way in my eyes. Overall the film was really good and I enjoyed it, finishing the trilogy off nicely. It’s always great to watch mega stars like Bruce Willis and Samuel L Jackson work, they are both talented actors and again like Split, watching James McAvoy’s performance and talent just secures him as one of the modern-day greats. His ability to swap personalities, traits and accents in the flick of a switch comes across so well and just commands the room with his presence. I would say it’s important the you watch both Unbreakable and Split before hand to fully appreciate and understand this movie. It’s a great watch and if you love the first two this will not leave you disappointed. With the upcoming film release of “Glass” I wanted to write something about the M Night Shyamalan films – focusing on the trilogy we never knew we needed. – Don’t worry, there are no spoilers here. When Unbreakable came out in 2000 the world was unknowingly watching the first chapter in a trilogy that took 19 years to put together. 3 years after a 16 year break we saw the second installment come out and now the third is here. From the man who made The Sixth “Friggin” Sense, Unbreakable was just as good if not better (Opinion based, I am team Unbreakable). I can imagine with the announcement of Glass hitting the big screen sales of Unbreakable shot up – that new generation of film goers that missed it, or who had never even heard of it rushing out to pick up a copy and see what they have missed. Well it’s time to get on it. The first film follows Bruce Willis and Samuel L Jackson in a strange game of cat and mouse. Playing polar opposites of each other, Willis a man who is somewhat indestructible while Jackson plays a man who is hurt from the slightly gust of wind. Jackson believes that Willis’ character is a superhero having survived a fatal train crash and walking away with not even a scratch. The film follows Willis come to terms with this new findings, testing and trailing his “powers” while also dealing with a troubled home life and Jackson’s character as he becomes more unhinged with the idea of Willis’ power. The film is amazing, almost like a comic book movie in a real gritty world. Good vs Evil, Right vs Wrong. The twist this film throws at you is shocking and somewhat real as well. Highlighting a deluded mental state of mind and how easy the human mind can be broken, corrupted and tainted. It’s a masterpiece, a stunning piece of art that can be watched and studied over and over again. Then 2016 rolls around M Night is back at it, bringing out Split. 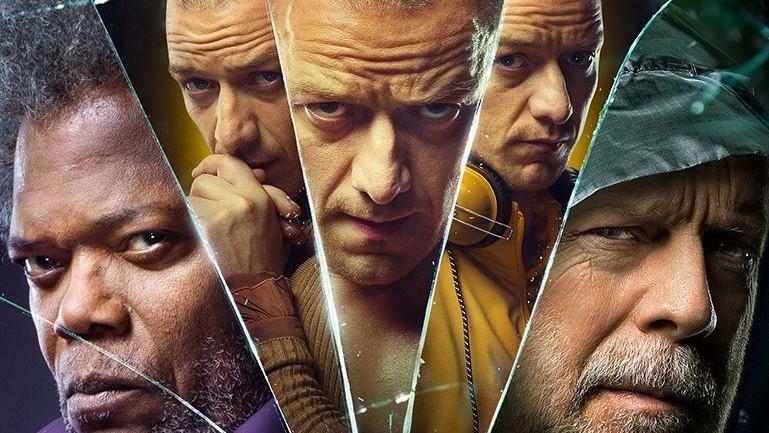 A film somewhat unrelated to Unbreakable as it focuses on Kevin (James McAvoy) a man who suffers from “Dissociative Identity Disorder” with 23 different personalities, each with their own mindset and dark inhibitions, working for the 24th unknown, rumoured personality – The Beast. The film holds up and is really enjoyable. It’s like M Night is back to his old ways of making good films – he had a blip in the middle didn’t he but Split bought it back and to top if it there is that final nod to Unbreakable that makes you go “WHATTTTT” – the smallest thing that wasn’t even needed. The film stands alone and works perfectly, but adding this literal seconds to the film changes the whole concept of the movie and makes it bigger than it first thought to be, changing aspects of the original film with the new information from the second instalment. Though in doing so it makes it a sequel, which then lends itself to comparison of the first one. Which in this case can’t compete and becomes another stat in the argument for Second films that aren’t as good as the first. Well now the third installment is coming out, tickets are booked, going to get the GF to watch Unbreakable this weekend and then we are ready to rock. She was a fan of Split and hopefully will enjoy Unbreakable as well. It’s a worry now days, when you introduce someone to a film that is nearly 20 years old but she, like me is a big Brucie fan and so hopefully she will enjoy it. 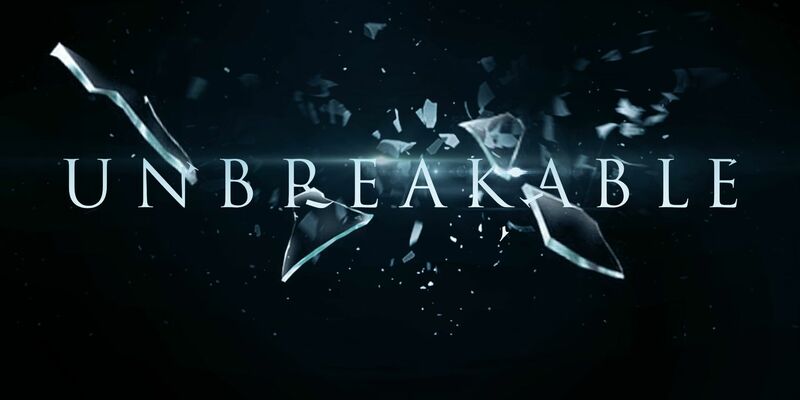 I am very interested to see what they do with this film, where they take the story and to see what the characters have been doing in the 16 year gap between Unbreakable and Split. The trailers had me hooked from the off and I also really like Sarah Paulson, so hopefully she will be a good addition to the film. There is a worry it will go too Comic Book Superhero esque and lose the real life thriller aspect that Unbreakable did so well. But we will only know when we see it, also we are left wondering – what could the classic twist be? Hmmm. The critics reviews are out and a few headlines suggest mixed reviews. But I don’t like to read them or even trust them – the same with Rotten Tomatoes. I feel both make so many bad calls they are not credible sources. Says the amateur in the professional world I know but that being said I will drop a review next week to let you all know my thoughts. I hope this has helped you prepare for Glass and if you’ve enjoyed this please give it a like and a share, or some form of feedback so I know how I am doing right and where I can improve. Thank you.